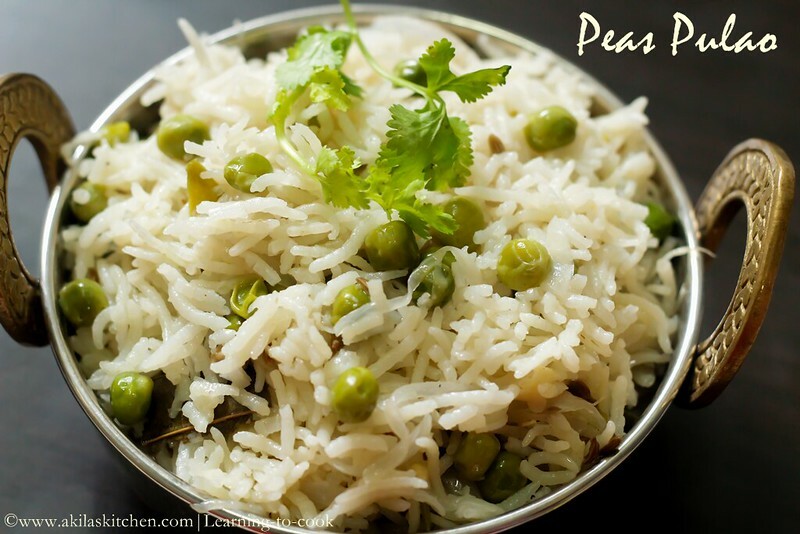 Peas Pulao / Matar pulao / Pattani Sadham is always a easy to do one pot meal. 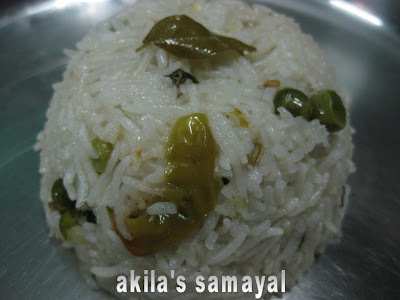 It is so easy to do, that, you can complete the whole process in 20 min, excluding the soaking time of rice. This is a great dish for any party or picnic. 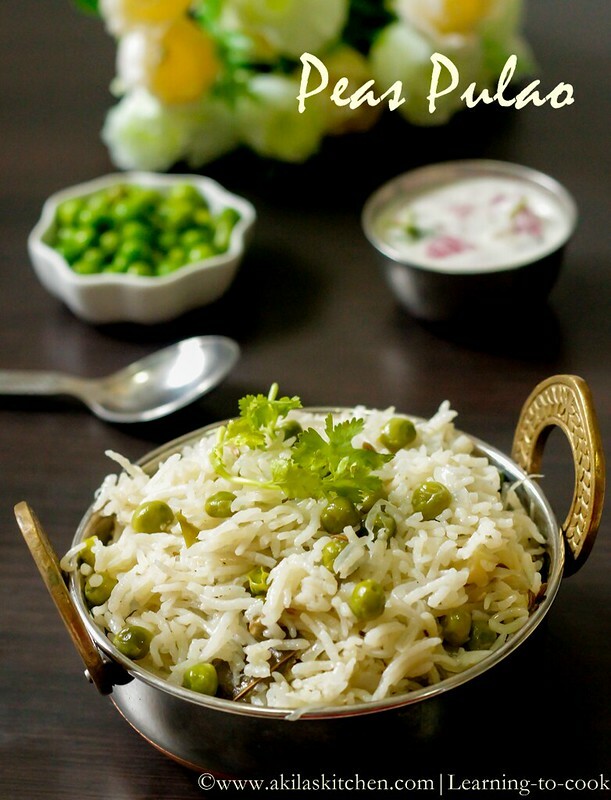 Peas Pulao is one such recipe, in which you can never go wrong in the process of preparing. 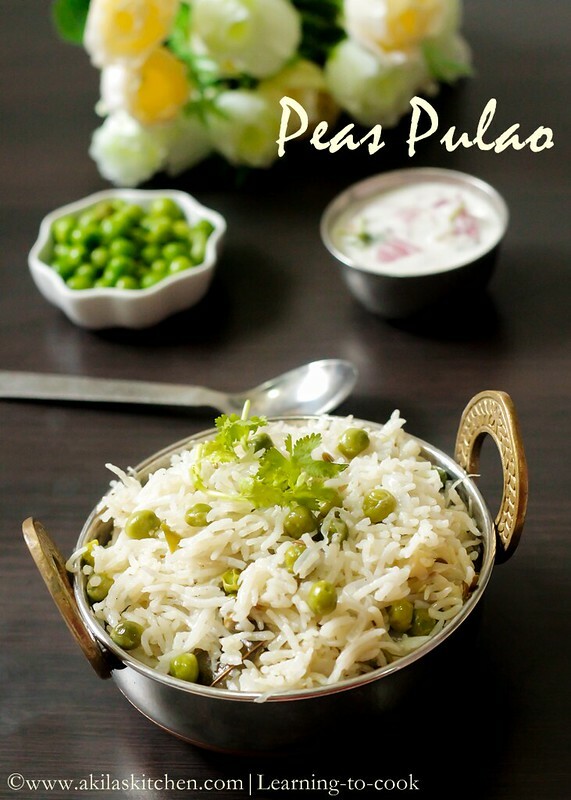 Lets see how to make the easy peas pulao. 1. Soak rice for 20 mts. While the rice is soaking, you can start following the below steps. 2. Wash and keep the peas ready. 3. In a Pressure cooker, add ghee and all the spices mentioned above. 4. Add the onion and ginger garlic paste and fry till golden brown. Add in the green chillies too. 5. Add coriander leaves and salt and saute well. (At this stage you can add the mint leaves too). 6. Add in the peas and fry for a min. 7. Now add the rice. 8. Add the ghee now and fry the rice for 2 to 3 min. 9. Add the water and bring to boil. 10. Close the lid and simmer for 10 mts. 11. 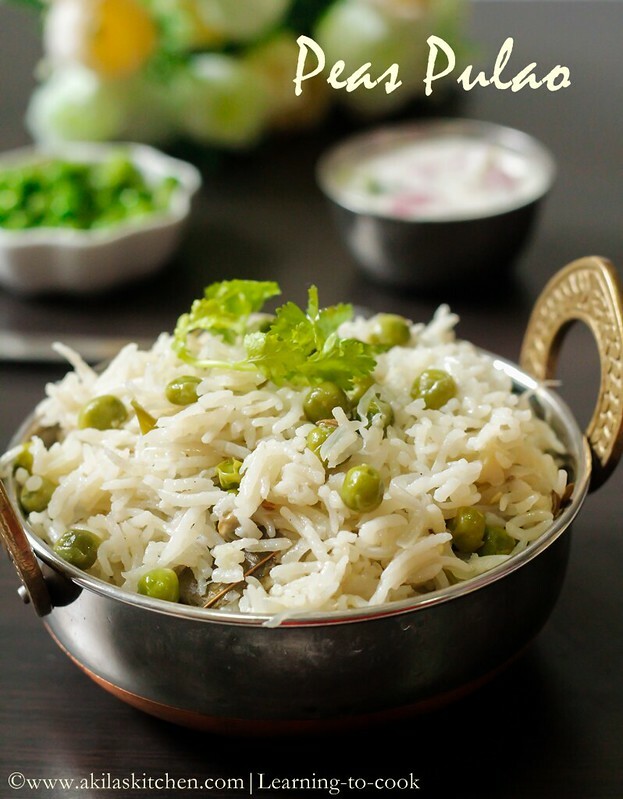 After 10 min, switch off the stove and when the pressure goes off, remove the weight and mix the pulao gently taking care not to break the rice. 12. 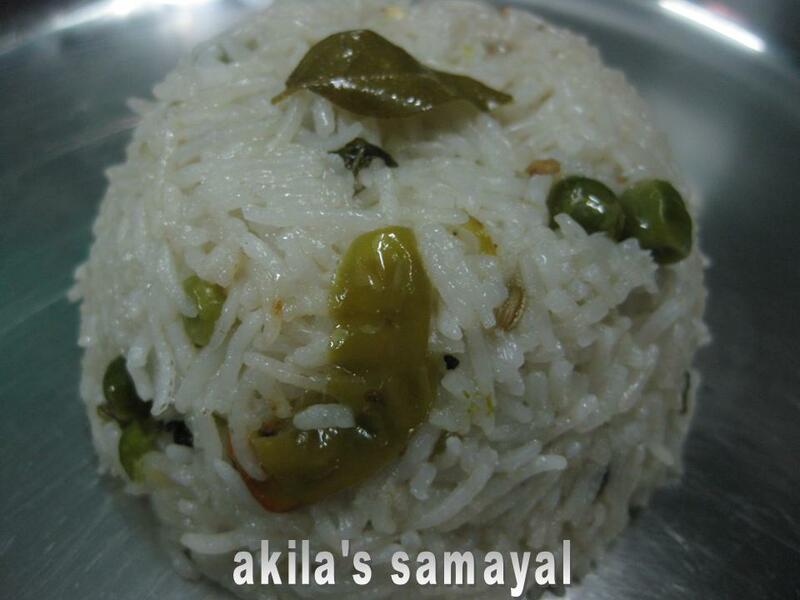 Garnish with coriander leaves and serve hot . 1. 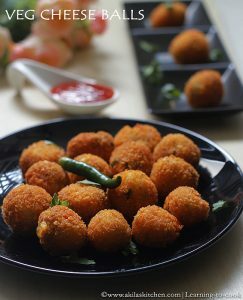 You can add mint + coriander leaves. I did not include, as it is not available that time. 2. 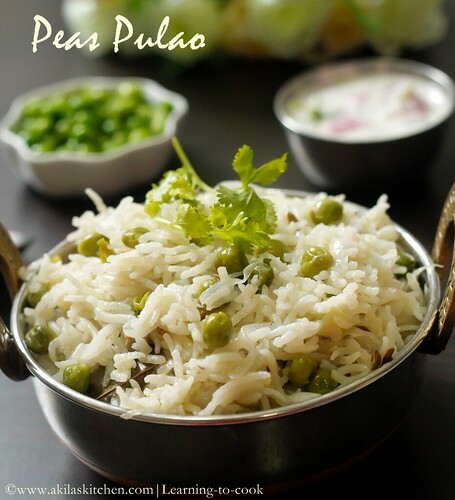 If you like, you can add the ghee fried cashews and mix with the pulao. It gives rich taste.